Mosquitoes outside can be a real bother, but nothing is more annoying than mosquitoes in the house. 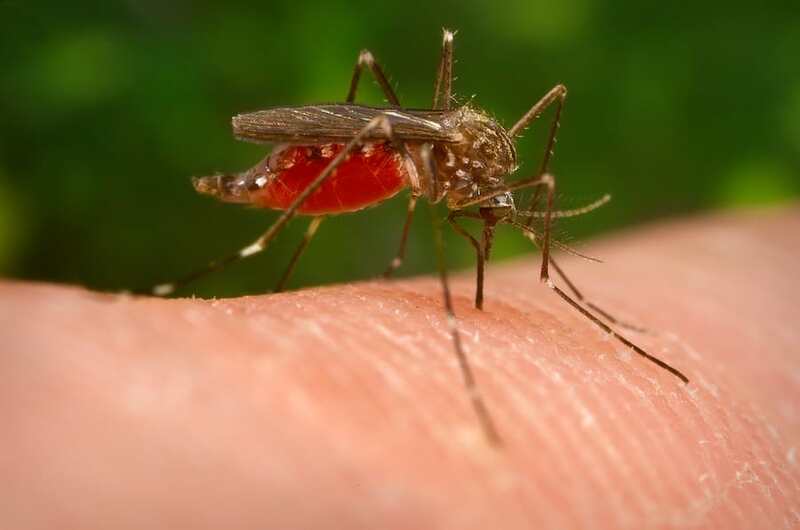 Not only do mosquitoes bite, but they can also spread diseases. With that in mind, it is important to take certain measures to keep them out of your home. Do not worry, there are a number of ways to get rid of mosquitoes in the house. The first step is to identify if you have a problem at all. Then you must figure out where the problem may be coming from. After that, you can begin to treat the problem and be well on the way to making your house mosquito-free. One obvious way to tell if you have a mosquito problem in your house is either by seeing them or feeling them. You may be constantly seeing mosquitoes buzzing around the home over the span of a few days. Another sign is mysterious bites appearing, especially in the evening or early morning. In either case, you are likely to have a problem. Monitor the situation over a week or so to ensure that you are not just being bothered by the same one or two mosquitoes. If you are constantly being bitten and can hear the buzzing of mosquitoes around your head, it's time to take action. Having mosquitoes in the house can be really frustrating, but there are a number of ways to deal with the problem. One of the most likely causes of having mosquitoes in your house is water. You may be sustaining the mosquito population by helping them to breed in your home. Mosquitoes lay their eggs mostly on water or in damp places. You may be providing the perfect breeding ground in your house without even realizing it. Do a thorough search throughout your house to find any small pools of water. Check the bathroom, planter drainage trays and pipes for any damp areas, leaks or standing water. If you have a lot of house plants with drainage trays, make sure you periodically check the water. Look for any wriggling or movement, as this could be the next generation of mosquitoes swimming around. Small bodies of water like this in your house need to be constantly drained or replaced to prevent the breeding of mosquitoes. It can be a hassle to keep on top of, but is worth doing, to keep the mosquito population to a minimum in your house. Mosquitoes are not very strong flyers and you can use this to your advantage. If you have any stand or ceiling fans, put them on to increase air circulation. Mosquitoes will find it difficult to enter or stay in a room if there is strong airflow inside it. If you already have good quality and well-fitted mosquito nets at your doors and windows, these can help too. With the screen in place and your doors or windows open you can allow air to circulate through your house. This will work best on a windy day. Make sure the screens are intact, however, or you may attract more mosquitoes as they come in to seek shelter from the wind. Some scents and smells are natural repellents against mosquitoes. A great way to get rid of mosquitoes in your house is to burn essential oils or incense. Some of the best scents to look for are citronella, clove and cinnamon. There are a wide variety of different natural oils that naturally repel mosquitoes. Do some research to find a smell that you like, to burn in your house. Not only will you be solving your pest problem, but you will be filling the house with a pleasant aroma, too. The best way to use essential oils for repelling mosquitoes is by using an oil burner. You can also mix a few of your favorite oils together, to increase the repelling power. Just be sure to choose oils that are known to repel the insects. Mosquitoes will find the strong smell repulsive and will want to find different air. The smells will also make it difficult for them to identify you in the house, thus making them less likely to bite. If you don’t want to burn the essential oils, you can also apply them to the skin as a natural insect repellent. The oils should be mixed with a carrier oil and applied regularly to ensure the most effective coverage. There are many different recipes for natural insect repellent sprays online. Many of these recipes use different essential oils. Incense is another great option to repel mosquitoes. This can also effectively be burned outside if you don't want your house to get too smokey. Burn mosquito-repelling incense while sitting outside, to keep the mosquitoes away. Alternatively, burn the incense outside your door and windows, to stop the mosquitoes from trying to enter the home. There are a few easy and effective ways to trap and kill mosquitoes without using chemical sprays. The first option is beer. Mosquitoes are very attracted to beer and will be drawn to it, wherever it is placed. Place a cheap bottle of open beer onto the porch of your house, or in a room where you have a lot of mosquitoes. Leave the bottle unattended for a few hours, to trap and kill the mosquitoes. They will be drawn to the bottle, fly inside for a drink and will most likely drown or be trapped inside. A similar trapping method, without the use of alcohol, is a simple mix of soapy water. Mix a few drops of dish soap into a bottle of warm water and leave unattended, just like the beer. Mosquitoes can be very attracted to dish soap and will end up trapping themselves inside the bottle. When using this method it is very important to remove yourself from the equation. If you set up these traps and decide to hang around, you will most likely get bitten. Humans are still more attractive to a mosquito than beer or soap. If you are still struggling to get the mosquitoes out of your house with natural methods then you may want to call a bug exterminator. They will assess the situation in your house and can pinpoint any problem areas you may have missed. However, when it comes to tackling the problem, they will most likely use harsh chemicals. With that in mind, we would only recommend calling an exterminator if you feel your mosquito problem is really out of control. You may have to leave your house for a few days after the chemicals have been sprayed, for your own safety. Once the mosquitoes have all been killed, you must focus on prevention. After you have managed to rid your house of any remaining mosquitoes, it is important to make sure they stay out. The best method of mosquito control is taking action to prevent them from entering the house in the first place. Here are some of our top tips to keep mosquitoes out of, and away from, your house. We have included both natural and chemical methods. In more extreme cases, chemical methods may be the best option but they only last for a short amount of time. Invest in good quality doors that fit and close properly. Mosquitoes can easily get into your house through small cracks and creases. If your doors don’t fit properly, it is well worth the investment to fix them if you are serious about keeping mosquitoes out. Mosquito netting is a great method for keeping these pests out of the house. Invest in some for your windows and doors, especially those that you want to leave open. If you already have mosquito nets fitted, check them carefully for any rips, holes or gaps. It will be very easy for a mosquito to squeeze through damaged netting. If your existing mosquito screens are damaged, then it is worth considering replacing them. Updating your windows and doors with new nets will provide the best barrier against these pests coming into your home. Another great natural method to keep mosquitoes out of your home is plants. Some plants are great at repelling mosquitoes, through the power of their scent. There is a small collection of different plants that are wonderful at keeping these bugs at bay. When it comes to making the most of this simple method of mosquito repelling, it is all about positioning. The plants are most effective within a few feet of each other. So, the best way to use them is to place them around your windows and doors in small pots. In this position, they will act as a barrier to prevent mosquitoes from entering the house. You can also grow these plants around the garden, particularly in areas where you like to sit or spend time. They will help to throw the mosquitoes off your scent. One particularly important plant to consider, especially if you have a pond or water feature in your garden, is basil. As we have already mentioned, mosquitoes lay their eggs in freshwater. Plant basil around areas that may be mosquito breeding grounds, to help control their population growth. Basil is known for being particularly toxic to mosquito larva. It can prevent the eggs from developing and growing properly. If you can tackle the breeding of mosquitoes, you will end up with less adult mosquitoes in your garden. A great way to keep mosquitoes away from your house at night is by using light. Lanterns can confuse mosquitoes due to their flickering light pattern, which you may find strange, as mosquitoes are attracted to most light-sources. You can also buy lanterns that release a repelling chemical to help keep these bugs at bay. A Thermacell mosquito repellent lantern offers a 15-foot protection zone. If you invest in a few of these for your garden, you could easily protect the area you like to sit in outside. Plus, the light from these lanterns will add a pleasant, ambient effect to your outdoor seating area. Candles can also be effective at repelling mosquitoes. Burn candles that contain lemongrass, citronella or cinnamon. Not only will these candles keep the bugs away, but they will also release a wonderful aroma and add extra atmosphere to your gatherings, both indoors and outside. One of the most effective methods of protecting yourself from being bitten is to take preventative measures. It is very difficult to kill and control the population of mosquitoes around your house, especially during the warm summer months. With that in mind, take certain precautions to further protect yourself from them. Regularly apply mosquito repellent to any exposed skin to avoid bites. Also be sure to wear long protective clothing to keep your skin covered. You may also want to consider the color of the clothing you are wearing. Mosquitoes are more attracted to darker colored clothing as it is easier for them to see. Where lighter colored clothes can help keep the mosquitoes away. When it comes to tackling mosquitoes in the house, you must first identify where the problem is coming from. More often than not, it will be related to water buildup in your home. If a mosquito can happily lay eggs in your house, then the population will undoubtedly grow. Badly fitting windows and doors also allow easy access to these pests. Once the source has been identified and you have removed the mosquitoes from inside your house, there are a number of great ways to keep them away. Plants and essential oils work well as natural barriers against these pests. Remember, you will likely never be able to completely stop mosquitoes from being in your garden, so make sure it’s difficult for mosquitoes to re-enter your house. Replace those old and damaged mosquito nets with new, recommended ones, and use incense or candles by the open doors and windows. Be sure to take preventative methods to protect yourself, too. Use insect repellent on exposed skin and try to wear longer, more protective clothing. If your skin is covered, you’re less likely to be bitten.